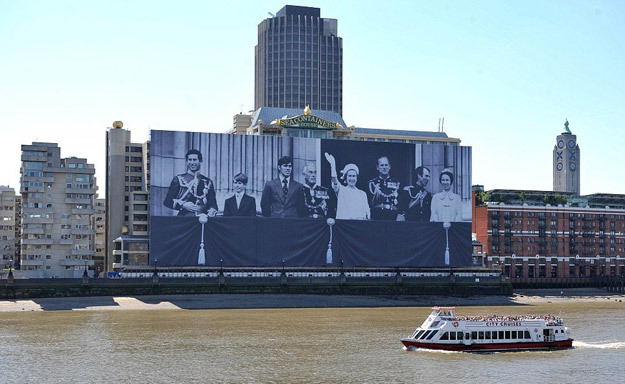 The largest ever photograph of the Royal Family and the biggest banner ever to be installed in the UK was unveiled on a prominent South Bank building in the heart of the capital to celebrate the Queen’s Diamond Jubilee in 2012, and AJTF were incredibly proud to be directly involved. 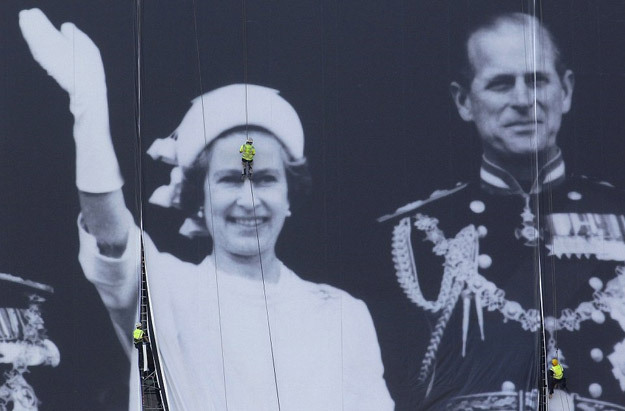 The giant picture measures an astonishing 100m by 37m – giving the Queen the appearance of towering over London at 43 times her usual size – and weighs in at nearly two tons. AJTF were chosen to finish the printed membranes, welding the printed PVC into seven large sections to be hung and joined in situ. 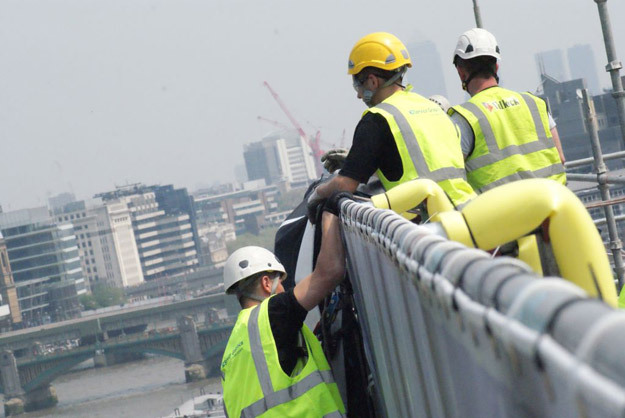 The image was erected on the Sea Containers building next to the iconic OXO tower by a team of eight specialists over more than 45 hours, and was seen by billions of people across the globe. The chosen photograph was taken at the last Silver Jubilee celebrations in 1977 and shows Queen Elizabeth II waving to the crowds with Prince Charles, Prince Edward, Prince Andrew, Earl Mountbatten, Prince Phillip, Mark Phillips and Princess Anne standing on the balcony of Buckingham Palace. Over one thousand boats mustered on the River Thames on Sunday, June 3 2012 to form the flotilla for the Thames Diamond Jubilee Pageant as part of country-wide celebrations. 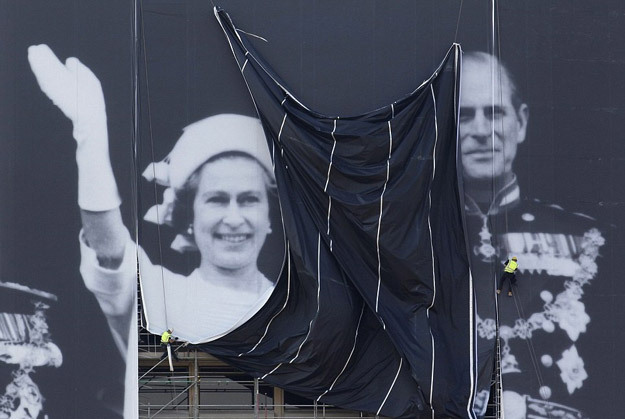 The giant image remained in place until the end of June while redevelopment work took place on the building.